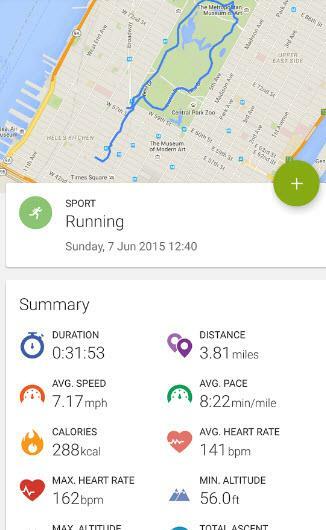 Fitness bands for Android has opened a new opportunities for tracking health. Most of these apps help track heart rate, steps, calories and sleep patterns. There are many apps on Google Play Store that can help you track the performance. Let's take a look at some of the Fitness Apps for Android. This is one of the popular app among the fitness band users. It can help monitor the steps walked, count heart rate and monitor the sleep pattern. The base app is free but some of it's features are locked onto the subscription. So you have to register for $2.50/month subscription services. With premium plan you can find the service has the website access. It can also create a personal health plan that suits your health. If you choose not to upgrade then you'd be limited with ad supported version. You can download the app free of cost from the Google Play Store. This is an official fitness app from Google. It was released since the time Android started supporting the fitness band API. It supports plenty of features which you may find in premium apps. However the app updates are not regular. And also the app's future looks uncertain as there are not many app improvements. You can use the app to track heart rate and calorie intake. You can also use it for step tracking and to keep log of your fitness. You can also sort the data as per category such as - running, walking and biking. You can download the app free of cost from Google Play Store. This app focuses on the users who prefer to run to keep their health in shape. The app has the tracker and the fitness measurement tools. You can get the data from the fitness band and sync with the device. You also get the audio updates of your progress. You can also set the notification to trigger after you walk or run certain distance. There are some pre-made templates that can be used for runners. You can create your own custom plans for the running. The app is free to download from the Google Play store. It comes with in-app purchase with ads supported option and upgrading removes certain limits and also gets rid of the ads. Most of us spend more time in exercise than balancing our diet. As diet plays very important role in fitness, this app can be really useful in that context. You'll find this app useful if you are unsure of your calorie consumption. You can use it to make sure it counts the calorie in right terms. It has a huge database of the recipes and dishes so it can be used to track your calories. If you are unsure you can manually log the food and it's respective calories. This app can be useful to keep track of calories that you have consumed and burned. The app is free of cost to download with ad support. The web interface subscription however costs 0.99$. Most of the fitness apps assume you know how to perform the exercise. In case of JEFIT the app has the database of over 1300 exercises. This database contains animated exercise videos. And you can learn how to perform as per your health condition. It also helps track the calorie burned for the exercise performed. The focus of the app however is strictly on the exercises. There are some in-app purchases and ads inside the app. The app is free of cost to download from Google Play store. This app has the social element added to the fitness tracking. The app allows you to compete with others based on your progress. You can also share the progress with your friends and other community members. Apart from the social feature, you can track the heart rate and other health parameters. The app is also free of cost and easy to use. If you are socialite then this app can be a good choice for fitness tracking. The base app is free of cost and you have to buy premium subscription for advanced set of features. 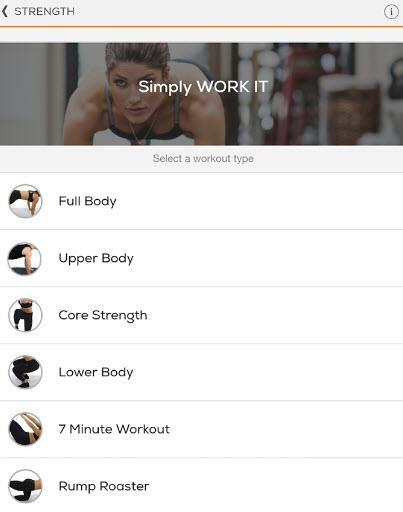 This app is designed to be your personal trainer. It focuses on built-in exercises that suits your health needs. It includes over 160 exercises that you can choose for your health needs. Apart from that you can use it to track heart rate and calorie count. The default app is free of cost and there are no ads. There is however premium version of the app that is sold under subscription separately. You can then access the advanced features and track the health on dashboard. 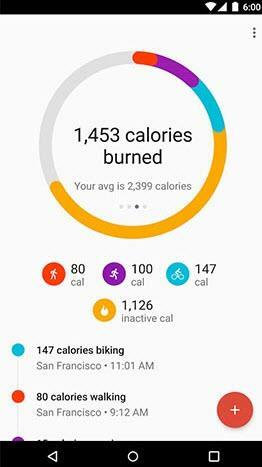 When it comes to fitness tracking there are plenty of apps in the Google Play store. The above listed apps can be a good option for tracking your health and fitness. Do give one of these apps a try if you're health conscious.